We all love nothing more than hearing winning advice, which is why this article is going to take you through some of the best proven changes which one can make to their online poker strategy and general play modes. You can bet that the first step is obviously finding yourself a licensed poker room, where you can play online poker in the best way. Once you have the foundations laid out perfectly, you can now begin building upon your winning strategies and ambitions. It is important that you start with low-stakes poker games if you are a beginner to the online poker world. Even those that are used to playing high-stakes cash games in real life should definitely begin at this simple level of play. A lot of adept real-life poker players believe that they can simply waltz into the higher echelons of online poker play, and that the transition will be smooth – not so. 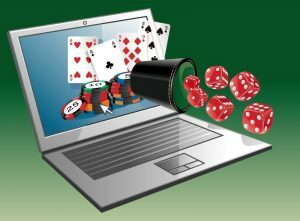 Online poker is quite different to physical poker in some integral ways, and the best way to learn such differences is through the least collaterally intensive game modes. Obviously at this low level of play, your main objective is to get used to the nuances and intricacies of online poker. You will find that such details are not complex – at least a lower level. The key aspects which you need to keep an eye out for will evolve as you move up in the ladder of challenge and performance, and you must always maintain a learned and obsessively analytical eye whenever you play online poker. People need to start realizing that the best way to become good at high-stakes online poker is to become adept at low-stakes. Most of the leading online poker players today made sure that they had mastered low-stakes before moving onto the higher levels. You can simply translate the expanded skill and experience base which you develop within the low-stakes arena into the high-stakes very easily, it is simply a matter of expanding and assimilating such a personal inventory for the more challenging sectors. There are indeed some challenges to the transitioning poker player, one of the most common examples being the time-bank setting. You will not have as much time in an online poker game as you would in a real life one to decide your play. While this may seem unfair to the novice player, you have to realize that games simply would take forever if every person was afforded the leisure of timeous decision-making in online gambling. Especially in the tournaments, which host sometimes hundreds of players, there really is no alternative to the time-saving features of the time-bank feature. Either way, you can expect the bigger tournaments to span a good portion of the day, even with the time-bank. Other things to get to grips with include the relevant betting features of your online gambling platform and its particular online poker channel, the cashier page, the format and design of the lobby, the rake-back offers, as well as the bonus services. Again, you should remember to take everything slow and easy. Never be in a hurry to get to the more exciting parts of play, you really do need to get the technicalities of the online poker world under your belt before you can begin lining your pockets. Online poker is a digital game which moves at a far more rapid pace than that seen in brick and mortar casinos. You will generally see around twice as many hands played within an hour in an online game than you would in a physical one. There really is no shame in feeling overwhelmed by such a high speed at first, and you will soon adjust to this rapid pace. You will get used to such speedy proceedings, and will very soon be able to keep up with the better player’s pace. This accelerated level of play is going to improve your capabilities far greater than the comparatively leisurely cruising seen in brick and mortar casinos. Despite the speed, always remember to take things slow, and never skip the basics.